With rich history and culture; vibrant small cities full of storybook architecture and stylish Scandinavian design; and soul-stirring scenery that is unmatched elsewhere on Earth; Norway is a remarkable travel destination. Sure, it’s expensive; but with landscapes of such raw beauty and grandeur, this is a unrivalled travel destination that should be near the top of any nature lover’s bucket list. With its untouched wilderness and uncrowded trails, this is a country best experienced by walking, hiking and cycling through its majestic landscapes. Norway’s fjords in particular are so grand in scale and so staggering in their wild beauty that they need to be seen up close to be believed. Head into the heart of Norway’s magnificent fjord country to hike alongside steep alpine landscapes carved by ice and marvel at Sognefjord, the world’s longest open fjord. 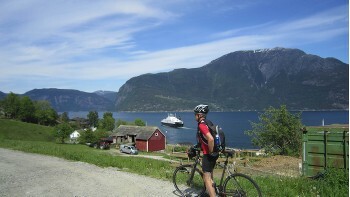 Pass tumbling glaciers, imposing mountains and fruit orchards in bloom as you cycle the Hardangerfjord, one of the world’s longest and most spectacular fjords; and walk among the dense forests, dreamy waterfalls and fairytale villages of the lush Flam and Aurland valleys. Then head to picturesque Bergen, superbly framed by mountains and fjords, to wander cobbled streets and see the impossibly photogenic, candy-coloured architecture of the World Heritage Listed Bryggen old wharf. 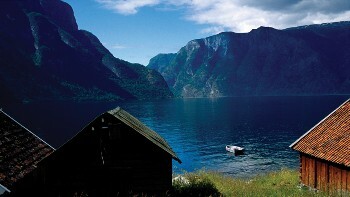 Take a look at our unique active itineraries and start planning your once-in-a-lifetime Norwegian adventure! 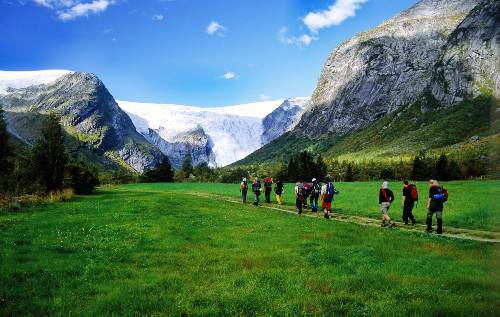 Hike through magnificent Norwegian alpine landscapes carved by ice including the longest fjord in the world. Witness tumbling glaciers, fruit orchards and spectacular mountains in the world's third longest fjord. Surrounded by mountains, fjords and the sea, this city is remarkable on every level. Visit the stunning Sognefjord, once described as the most beautiful destination in the world by a National Geographic Magazine panel. Electricity in Norway is 230 Volts, at 50 hertz. The most common pin type is C. (2 round prong). Visas are not required for citizens of Australia, Canada, USA and New Zealand for up to 90 days in a period of 180 days for all Schengen countries (see https://tinyurl.com/lkho3qg for countries part of the Schengen). Please ensure your passport is stamped on arrival in the Schengen area. For all other nationalities and for longer stays in countries covered by the Schengen Agreement (Australian New Zealand, Canadian and US passport holders), please contact the relevant embassy. Stays of longer than 90 days in the Schengen area require a long stay visa for the country you are spending most time in. However long stay visas are unlikely to be issued unless there is a valid reason (eg. studying in country). Unfortunately we cannot assist in obtaining visas for long stays due to individual country visa requirements.